The concept of insurance is simple: you pay a small regular premium; should the situations you are insured against arise, the payout from the policy will give you the finances you need to recover. However, there is a big difference between understanding a concept and putting it into practice the right way. The terms and conditions of an insurance policy are indeed complex. There is every possibility of making mistakes in arriving at the amount of coverage you require. Consequently, you might get the wrong policy and you are left without the financial resources you need, when you require them the most. Here are listed for your benefit some of the most common mistakes that people make in matters of insurance. This is by no means confined to a small section of the population. If you don’t have coverage, you don’t have protection. The problem is there are so many things you need to protect yourself against. If you own a car, you need auto insurance; but you do not know the type of policy that is right for you. If you don’t own property, you may not need homeowner’s coverage; but you do need renter’s insurance for where you live. Health insurance is yet another highly complicated field. No matter how healthy you are, you could need it tomorrow, anytime. Should you have disability coverage too in cases where you are seriously injured? Insurance costs money and the larger the policy, the more it costs. The cost of multiple policies together could be disconcerting. A seemingly simple solution would be to reduce the value of the policies; or you may cut back on the types of coverage so that what you pay for insurance fits comfortably into your budget. That’s fine as long as your life is smooth, and you have no problems. However, what if you need to file a claim and the amount you get is not enough to provide you the money you need to recover? The few dollars saved every month by cutting back on insurance will not save you from the eventuality that has become real. Read More..
How technology can reduce fleet costs? Insurance Agents and Brokers: What makes them Different? 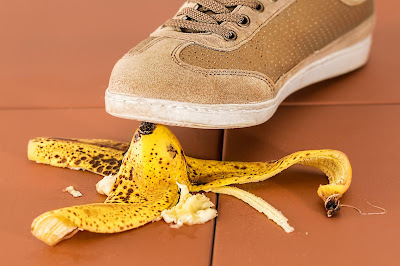 Do You Have The Personal Liability Insurance You Need?